BEIRUT — The U.S-backed Syrian fighters who drove the Islamic State from its last strongholds called Monday for an international tribunal to prosecute hundreds of foreigners rounded up in the nearly five-year campaign against the extremist group. Trump’s message comes as the U.S. wants allies to stabilize Syria. The SDF has been fighting ISIS since 2014 and has retaken large areas in northern and eastern Syria. Its administration is not recognized internationally or by the Syrian government, which has vowed to bring all the country’s territory back under its control. 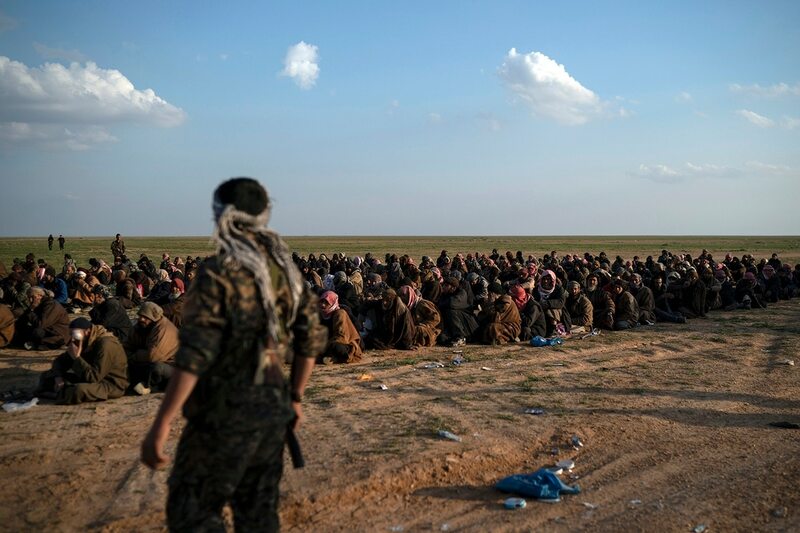 Kurdish-run courts in northeastern Syria have tried hundreds of Syrians suspected of links to ISIS. In trials attended by the AP last year, Kurdish authorities showed leniency toward the mostly Arab suspects in a bid to build bridges with the majority Arab population. The courts do not impose the death penalty.